FinePix cameras are known for their impressive picture quality, and their extremely compact sizes – perfect for portability to take pictures of everyday life. One of the newest cameras in Fuji’s line of ultra compact digital cameras is the Fujifilm FinePix T300. Review of pricing shows that $199 is great for those who are not trying to break the bank while purchasing a new camera. Here, we take a look at some noteworthy features of the T300. For an inexpensive compact camera, the FinePix T300 and T200 come with some impressive features that other cameras in the price range do not have. One of the newest included with this camera is the Photobook feature. This allows the user to take all of the pictures that they have and create albums with them. For example, if a user takes 5 pictures while out at the park, they can then title an album “Park." This makes finding certain pictures easier instead of sifting through large lists. The Panorama feature is becoming quite common for most cameras on the market. This feature lets the user take a picture of a large backdrop. Panorama works by taking a multiple pictures while moving the camera across an area. If you are looking to take a elongated picture of the beach, you would move the camera across the beach until the meter displayed is full. This meter will tell the user when the entire panorama picture is completed. Facial recognition is a great feature when it comes to including everyone in a picture without missing a face. The camera can recognize up to 10 faces per picture, and will even recognize the faces by name. By entering a name into the camera, and having the camera recognize that person, each time the person is recognized the camera will adjust itself to make the specified person stand out among others. Users can also search a name in their camera and each picture of the specified person will appear on their camera. Being able to use the Tracking Auto Focus feature was refreshing. Now users will be able to take a picture of a moving object and the camera will focus on the object as long as it stays in the frame. This eliminates the blurring affect that usually takes place when taking a moving photo. Each time the moving object will appear in the center of the screen with crystal clear quality. The design of the Fujifilm FinePix T300 follows the typical design that has shown up in most of Fuji’s ultra compact cameras recently. There is a 14-megapixel CCD sensor, which enables the camera to take high-definition images in 720p. The T300’s lens shoots video at 30 frames per second with HD video quality. 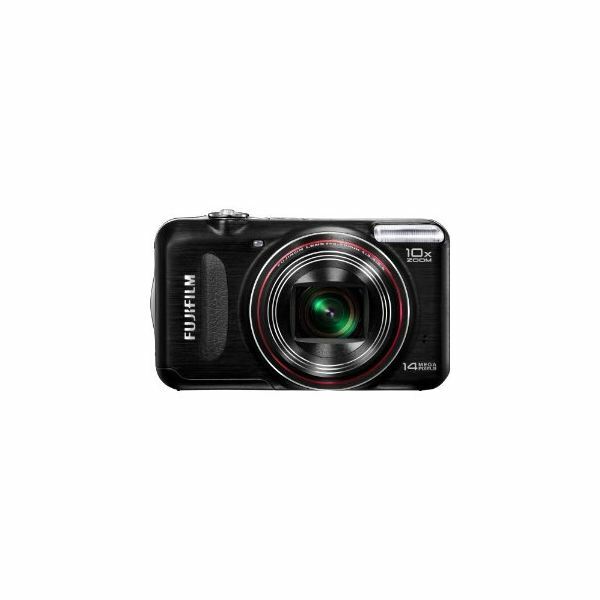 With the Fujifilm FinePix T300 being an ultra compact camera, it weighs in at 4.9 ounces without accessories. The LCD display is 3 inches, which is an industry standard for most compact cameras today. The menus are the same that have been seen before in most of Fuji’s cameras. The options are accessible and can be easily navigated. Physical buttons are also located on the camera for features such as zoom, power, and volume. The ultra compact design is perfect when it comes to traveling since this camera can fit comfortably into your pocket for easy portability. The picture quality is impressive, which is not surprising when Fuji is the creator of the camera. The colors of each image is vibrant and do not show any signs of fading. Sometimes, the pictures can appear to be unclear. This is mostly when the camera is being used in a dark setting, such as a room with no light or nighttime. time using this camera because of the 720p ratio. 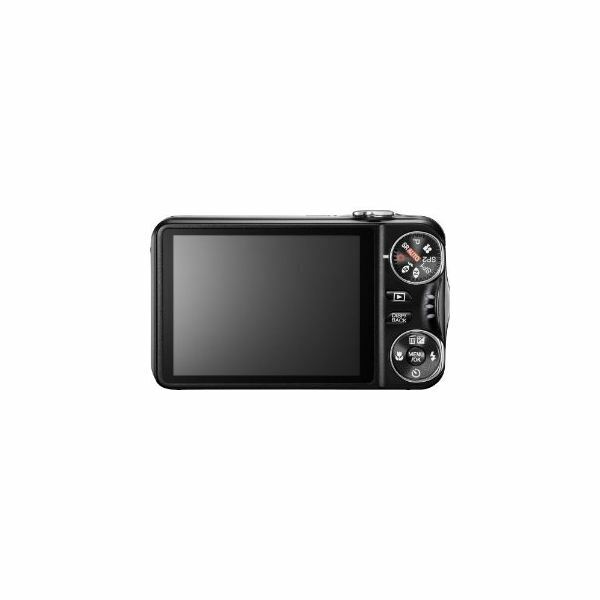 The FinePix T300 can be plugged into an HDTV or PC to view all of the photos in true high definition. Viewing pictures in video on the 3-inch LCD screen is still enjoyable and clear, except it does get annoying over time because of the small screen. I would suggest plugging it into an HDTV myself. This is a perfect example of a fully featured ultra-compact camera. I think that for the price, which is $199 at the time of publishing, every single cent spent is worth it. You receive a large amount of features not normally found in compact cameras, and at the same time receive exquisite photos and HD video recording capabilities. If you are due for a new camera, then the purchase of the Fujifilm FinePix T300 is worth the money spent. Do you have something to add to this Fujifilm FinePix T300 review? If so, be sure to visit our comments section below. This review is based on the author's use of this camera at a camera expo earlier in 2011, and on information found in the online version of the user manual online.